Linux systems make solid home media servers. Like all servers, services can stop or crash for one reason or another. If you use Monit to monitor your Linux Home Media Server you can have these services restarted automatically when there is a small kink in your system. You can get email alerts too if a service is going down. 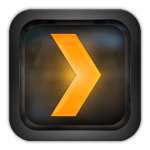 This may not be super critical but some of you may want to know if Plex has gone down as outlined in this guide. This monit tutorial was tested on Ubuntu and Debian 32-bit and 64-bit systems and is based on the official documentation and Monit configuration examples. I will assume you have installed and set up a basic monit configuration using this guide. 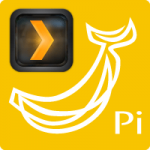 It will work on the Raspberry Pi, Banana Pi, Orange Pi and other ARM devices. With some minor modifications to the package manager installation it will work on Arch Linux, CentOS, Fedora and other distributions. Go to your local IP: https://ip.address:2812 and enter your credentials to make sure the base install of Monit is working. Then go back to the SSH terminal or use WinSCP to create the files. I use /usr/bin/service instead of /etc/init.d/servicename because the former method should provide compability across all Debian and Ubuntu distros regardless of whether they use init.d, systemd or upstart. After adding each service I recommend testing the Monit configuration syntax and reloading the Monit service to see if it’s working as you expect. 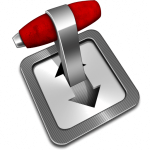 Generally you use the pid files for Monit to look for, this will find any pid files on your system with the correct extension .pid. Some developers do not follow this convention and there is a workaround further below using ‘matching’. See this output and identify the services. Note that sometimes they are really in /var/run and not /run. If you find things not working out restart your server and look again. Sometimes you will not have a pid file in which case you need to use a different feature of monit which is the ‘matching’ feature. This requires looking at the process name and using that along with the port number or socket for monitoring the service. I have provided both pid and non-pid monit configuration files for each service where possible. start program = "/usr/sbin/service webmin start"
stop  program = "/usr/sbin/service webmin stop"
check process webmin matching "perl"
stop program  = "/usr/sbin/service apache2 stop"
Paste the nginx monit configuration using the pid file. stop program  = "/usr/sbin/service nginx stop"
check process nginx matching "nginx"
stop program  = "/usr/sbin/service rpcbind stop"
stop program  = "/usr/sbin/service samba stop"
start program = "/usr/sbin/service minidlna start"
stop program = "/usr/sbin/service minidlna stop"
check process miniDLNA matching "minidlnad"
check process vsftpd matching "vsftpd"
stop program  = "/usr/sbin/service vsftpd stop"
stop program  = "/usr/sbin/service proftpd stop"
start program  "/usr/sbin/service ssh start"
stop program  "/usr/sbin/service ssh stop"
check process NZBGet matching "nzbget"
start program = "/usr/sbin/service nzbget start"
stop program = "/usr/sbin/service nzbget stop"
Again here my pid file was missing. Unfortunately Sabnzbd doesn’t have its own ‘name’ in the processes since it requires python. However, we can work around that by checking the port Sabnzbd is listening on and if it fails restart the service anyway. check process Sabnzbd matching "python"
start program = "/usr/sbin/service sabnzbdplus start"
stop program = "/usr/sbin/service sabnzbdplus stop"
check process Transmission matching "transmission-daemon"
start program = "/usr/sbin/service transmission-daemon start"
stop program = "/usr/sbin/service transmission-daemon stop"
start program = "/usr/sbin/service deluged start"
stop program = "/usr/sbin/service deluged stop"
start program = "/usr/sbin/service sickrage start"
stop program = "/usr/sbin/service sickrage stop"
check process SickRage matching "python"
Paste the CouchPotato monit configuration for the pid file. start program = "/usr/sbin/service couchpotato start"
stop program = "/usr/sbin/service couchpotato stop"
check process CouchPotato matching "python"
start program = "/usr/sbin/service mylar start"
stop program = "/usr/sbin/service mylar stop"
check process Mylar matching "python"
start program = "/usr/sbin/service headphones start"
stop program = "/usr/sbin/service headphones stop"
check process Headphones matching "python"
start program = "/usr/sbin/service lazylibrarian start"
stop program = "/usr/sbin/service lazylibrarian stop"
check process LazyLibrarian matching "python"
start program = "/usr/sbin/service htpcmanager start"
stop program = "/usr/sbin/service htpcmanager stop"
check process HTPCManager matching "python"
start program = "/usr/sbin/service nzbdrone start"
stop program = "/usr/sbin/service nzbdrone stop"
check process Sonarr matching "mono"
check process Jackett matching "mono"
start program = "/usr/sbin/service jackett start"
stop program = "/usr/sbin/service jackett stop"
check process Ubooquity matching "java"
start program = "/usr/sbin/service ubooquity start"
stop program = "/usr/sbin/service ubooquity stop"
Go back to the monit web interface at https://ip.address:2812 to see if everything is working.